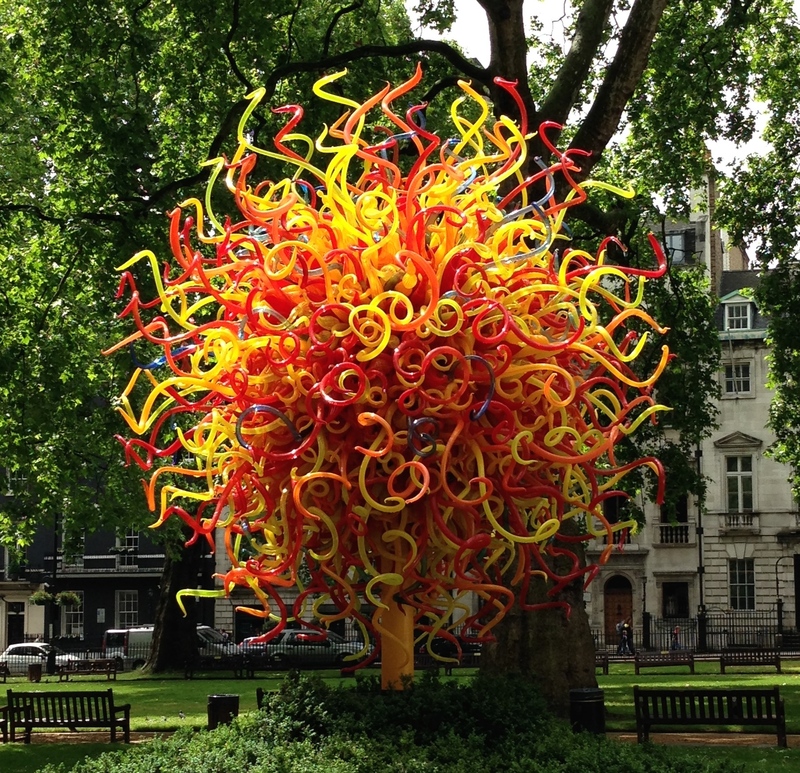 Temporary installation ‘The Sun’ by Dale Chihuly in Berkeley Square, 2014. 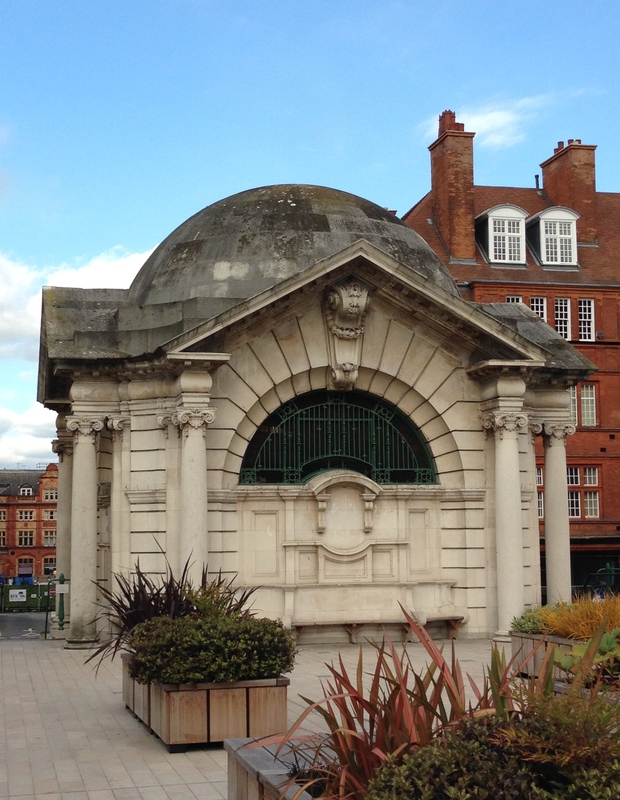 Have you always been intrigued to learn more about the history of Mayfair? Often described as a town within a town, London’s most ‘reclusive’ enclave exudes aristocratic opulence as well as old world charm. 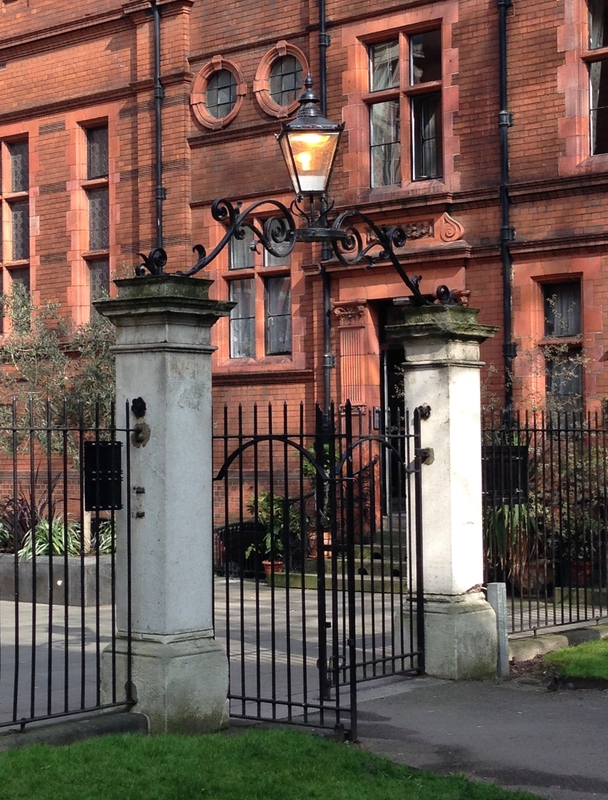 My latest walk – Hidden Mayfair – provides a perfect introduction to many of the area’s secrets and I hope you will join me for a little snoop around! A secret garden hiding in plain sight. Originally conceived for Open Garden Squares Weekend 2014, this walk uses the green (and ‘grey’) spaces of Mayfair as a connecting thread. While visiting the sites of a former burial ground and a popular Georgian ice-cream parlour, this walk will also take in Japanese architect Tadao Ando’s only public work in the UK, the mock-Tudor house in which Gloria Swanson used to live as well as – and perhaps most surprising – an Italian garden perched on top of an electricity substation. From aristocratic landlords to fearless flappers, our glitzy and glamourous cast of characters will include the incomparable Lady Emma Hamilton, retail-magnate Harry Gordon Selfridge and infamous actress Tallulah ‘Dahling’ Bankhead. 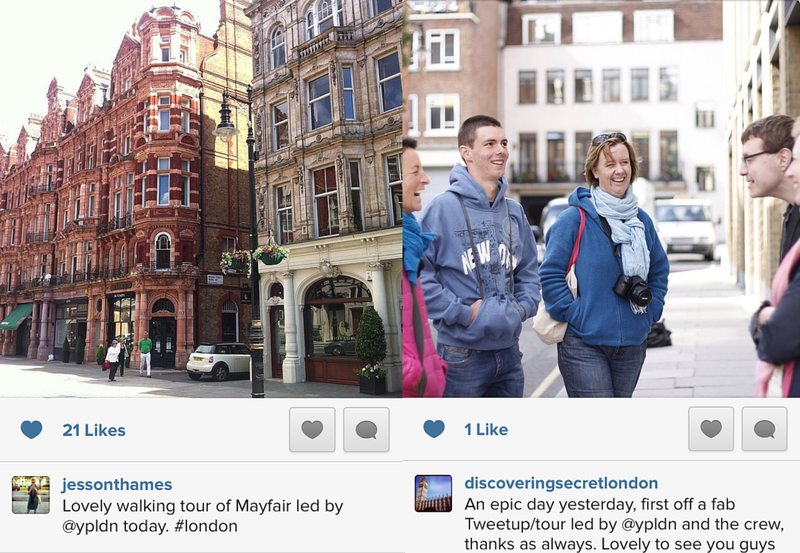 The walk received some great feedback from @JessOnThames and @topsecretlondon. 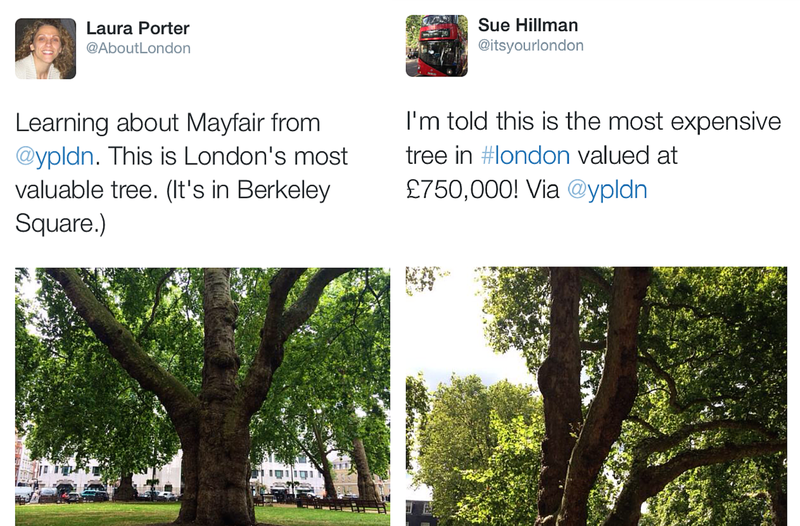 @AboutLondon and @itsyourlondon where both enthralled by a very expensive tree. This tour is aimed at seasoned Londoners as well as tourists who are looking to explore Mayfair with a touch of the scandalous. A perfect gift for London enthusiasts, this walk can also be booked as a private tour for birthdays, weddings or any other special occasions. The meeting point for the tour is by the Pump House in the centre of Berkeley Square (see the map below), which is a 5 minutes walk away from Green Park Tube Station. Lasting two hours, the tour will finish near Oxford Street, in the vicinity of the Beaumont Hotel and Selfridges. The tour costs £8 (regular) / £7 (students and seniors) per person and tickets are available for purchase on Eventbrite. All pricings for private group tours are available upon request. If you have any more questions about the walk or would like to organise a private tour, do not hesitate to get in touch with me either via my Contact Page or send me an email directly to: yannick.pucci[at]gmail.com. You can also find me on Twitter where I’m always up for a chat too.